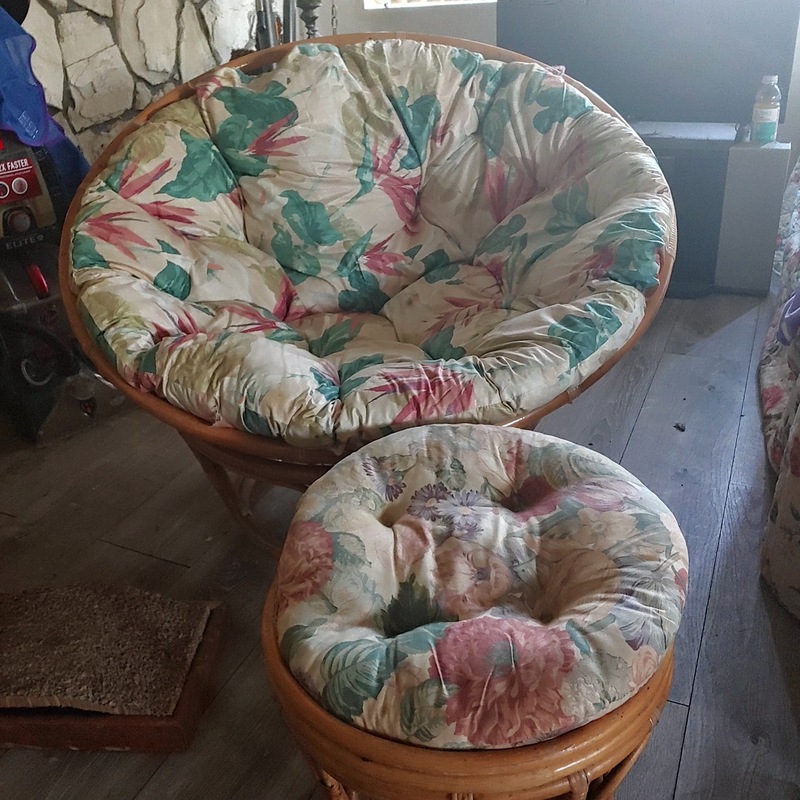 Set of (2) Natural color rattan swivel chairs with ottomans and cushions. From Indonesia..
(1) Papsan " egg" chair. 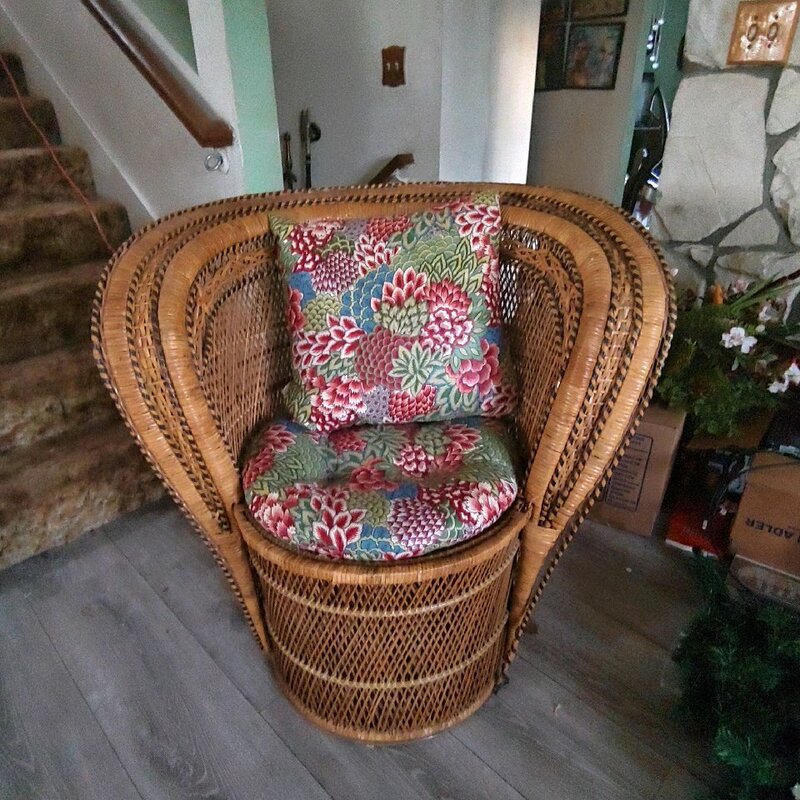 (1) multi woven Rattan "Princess" Pedestal Chair ( not a peacock chair). 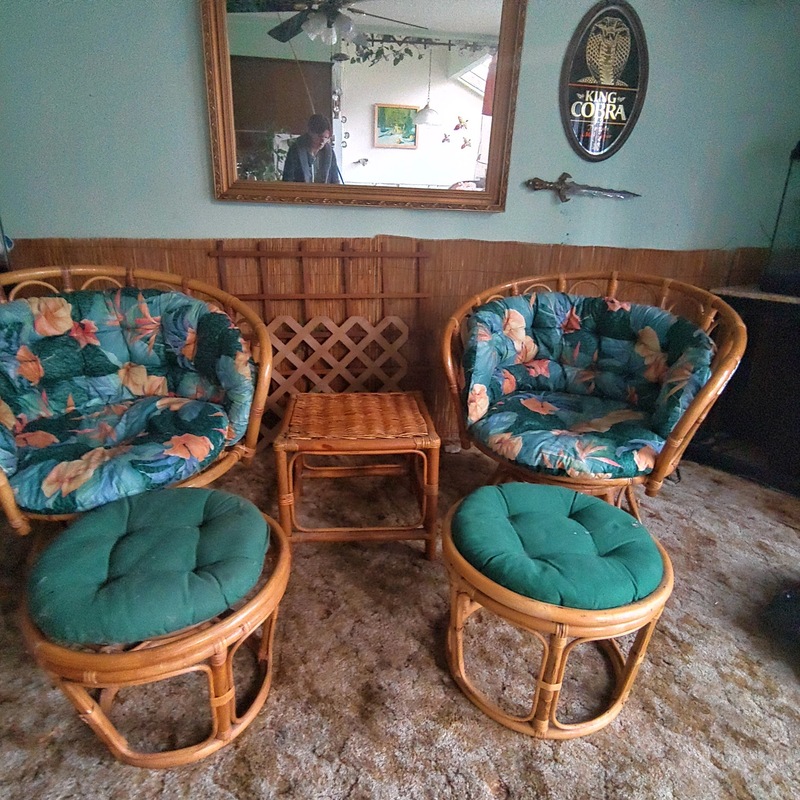 Princess Chair has unique intricate weave design. 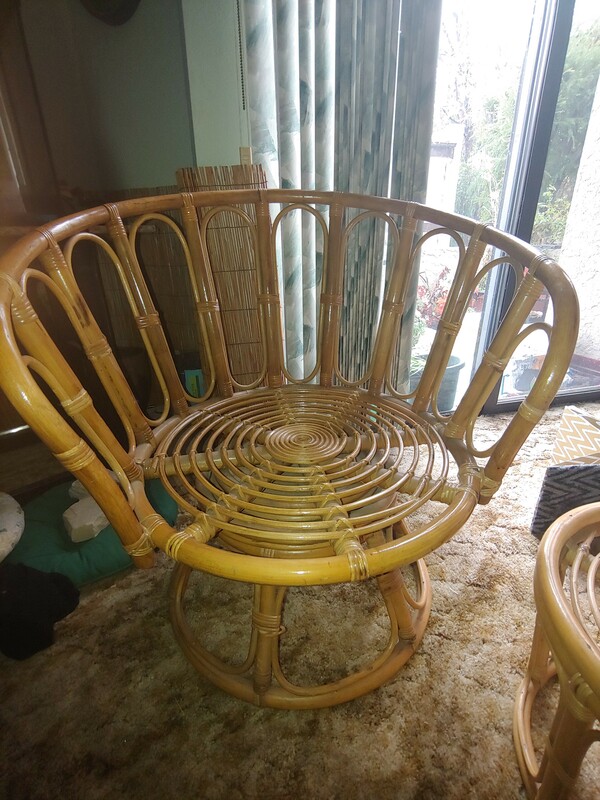 Inherited from family friend. Single man with no children. 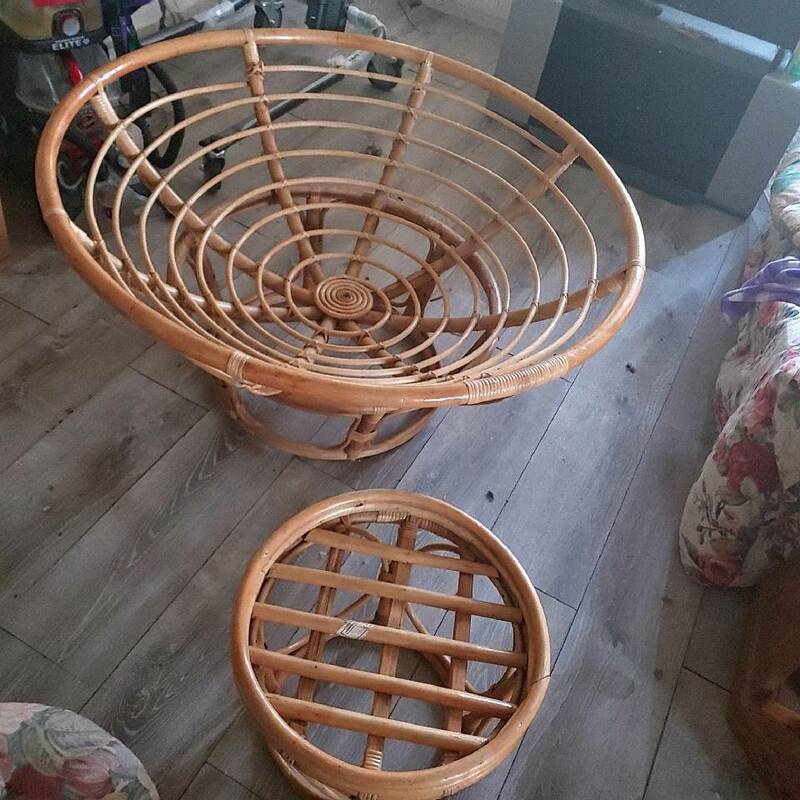 Furniture barley used.